Ohmigod! I've got floorboard rust. Not so bad, once I pulled the carpeting and matting for a better look. Here's the passenger side. 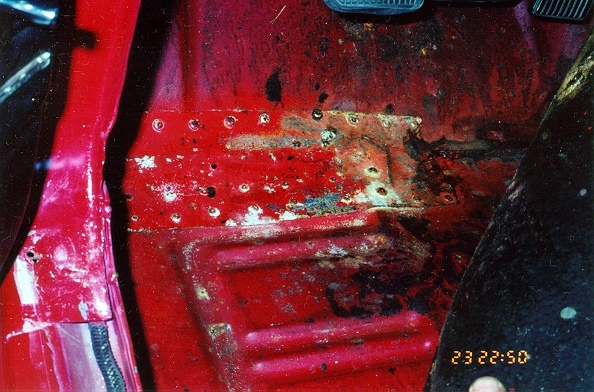 Note that the area between floorboard and toeboard has rotted through. I will apply rust converter to all areas except seam, where I will apply fiberglass patch as temporary fix until I have time/patience/experience to do proper welding. 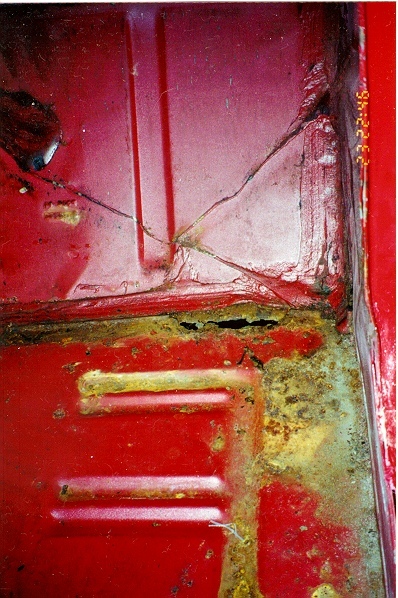 The driver's side apparently had similar damage, but was repaired sloppily with riveted aluminum sheeting. I'll apply rust coverter to all, and fix properly sometime in the future.